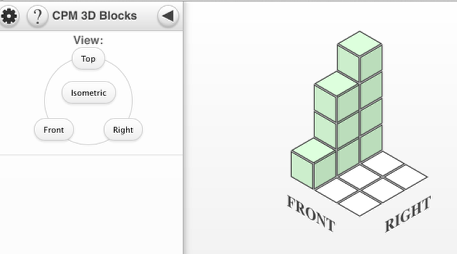 Build by clicking the top of blocks or the pad. Remove by clicking the side of blocks. Isometric view is in step 1 above. 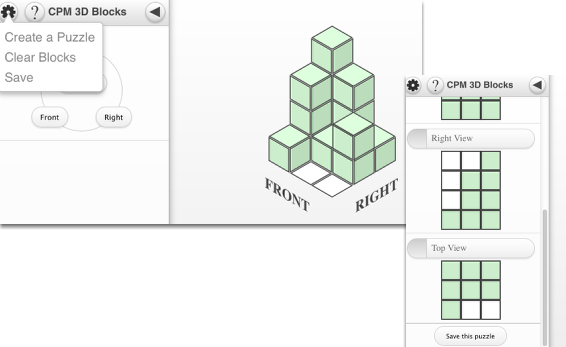 Also, choose Front, Right, or Top views. Design your own puzzle by showing only the views you choose. Other students attempt to build your structure from the given views.